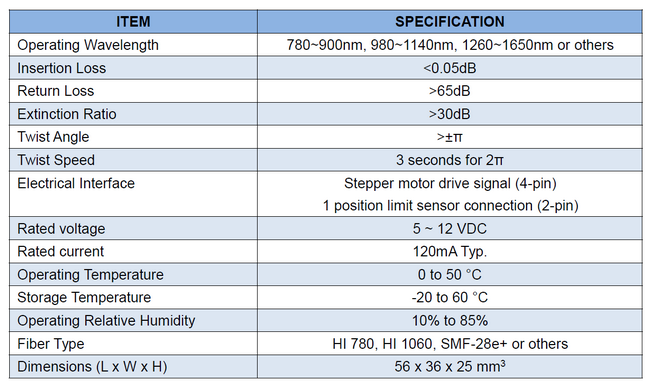 Compare with the traditional manual adjusting products, Optowaves’ motorized in-line polarization controller has faster adjusting speed, higher accuracy, more compact size and electric driving. It could be widely used in automatic optical systems. By the special design, the twist range could cover ±π. So it allows any arbitrary input polarization state to be converted to any desired output polarization state.